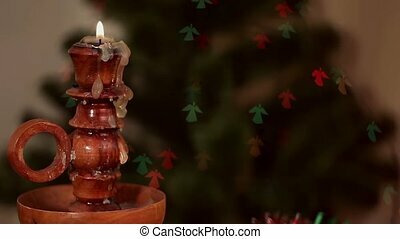 Christmas candle fire closeup with blurred background. 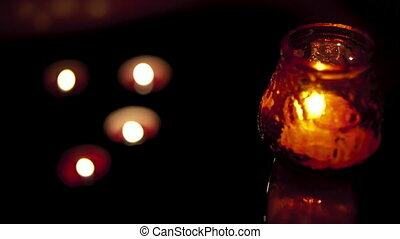 Candles light. 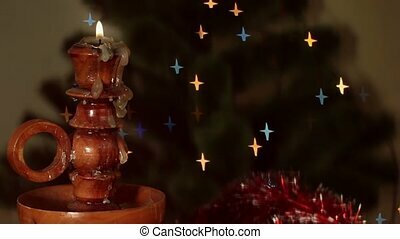 christmas candle burning at night. 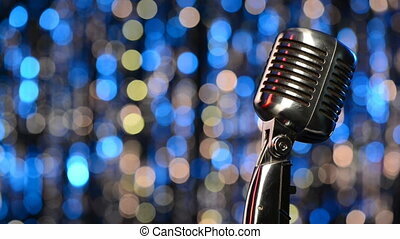 abstract blurred background. 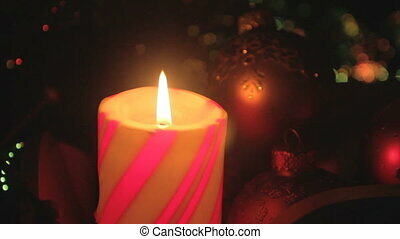 golden light of candle flame. 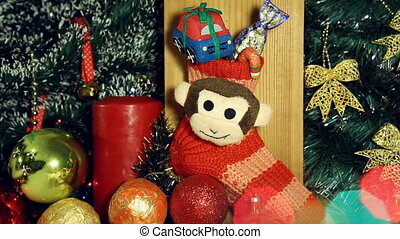 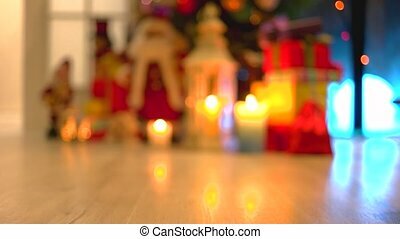 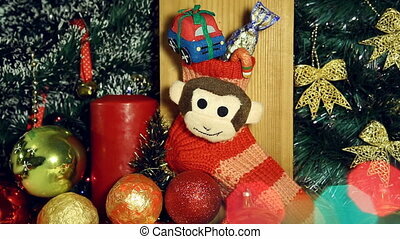 Red candle lights and red christmas sock with monkey next year symbol like a christmas background. 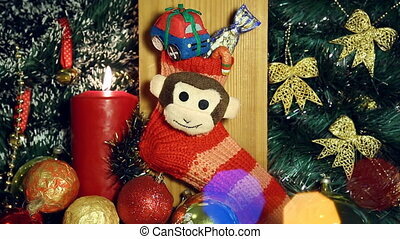 Red candle lights and red christmas sock with monkey next year symbol like a christmas background. 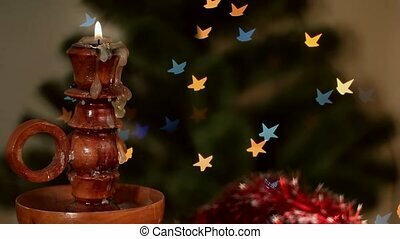 The candle inflames. 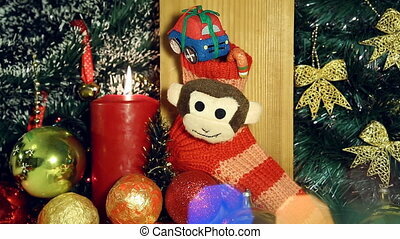 Red candle lights and red christmas sock with monkey next year symbol like a christmas background. 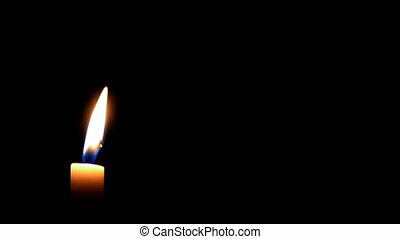 Frame move to candle. 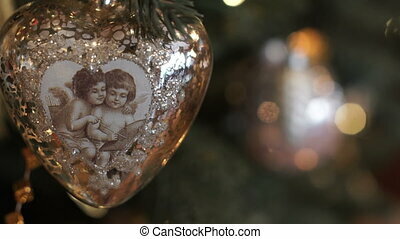 Christmas toy with angels closeup. 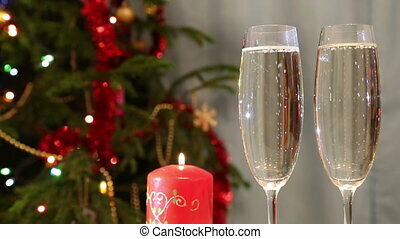 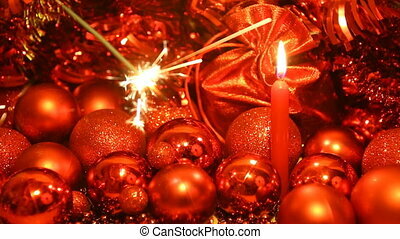 Sparkler and candle on red blur background of christmas balls.